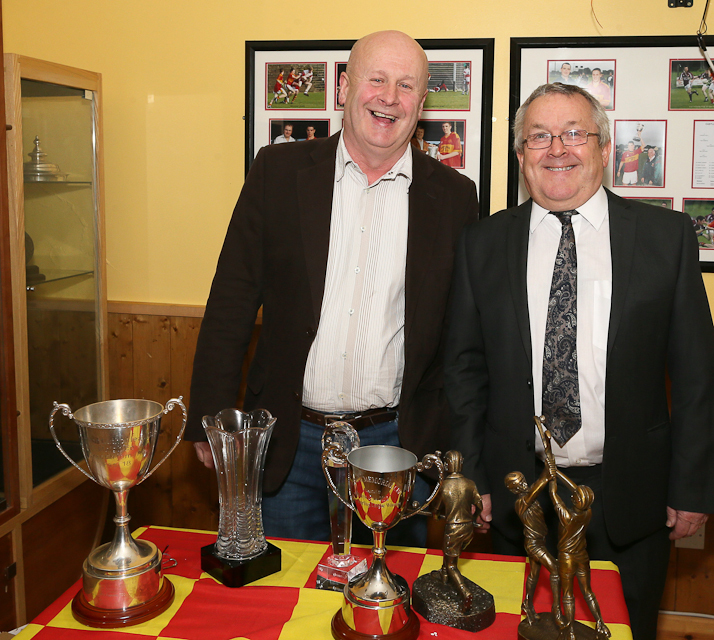 Castlebar Mitchels Hurling club presentation and awards night was held recently in the Sportlann with special guests of honour the 2014 all conquering minor hurling league and championship winning team. 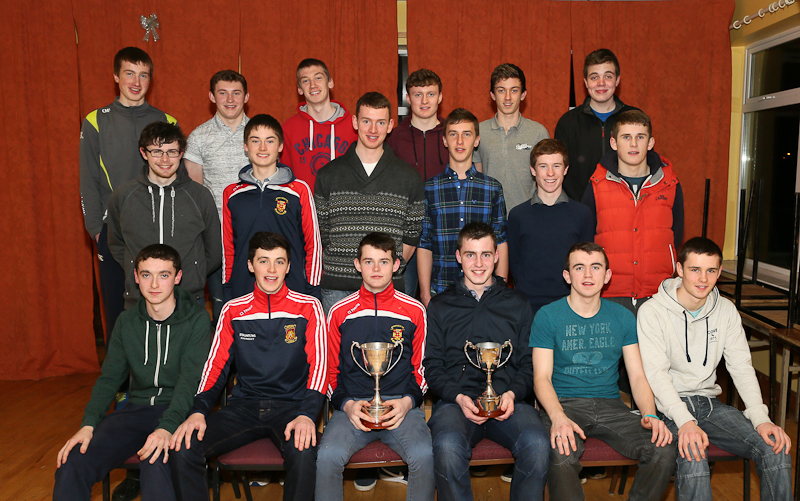 County Minor League and Championship winning team 2014. Photo: Michael Donnelly. The minors were presented with their League medals by Kevin O'Boyle and with their championship medals by player of the year Joe Kennedy. 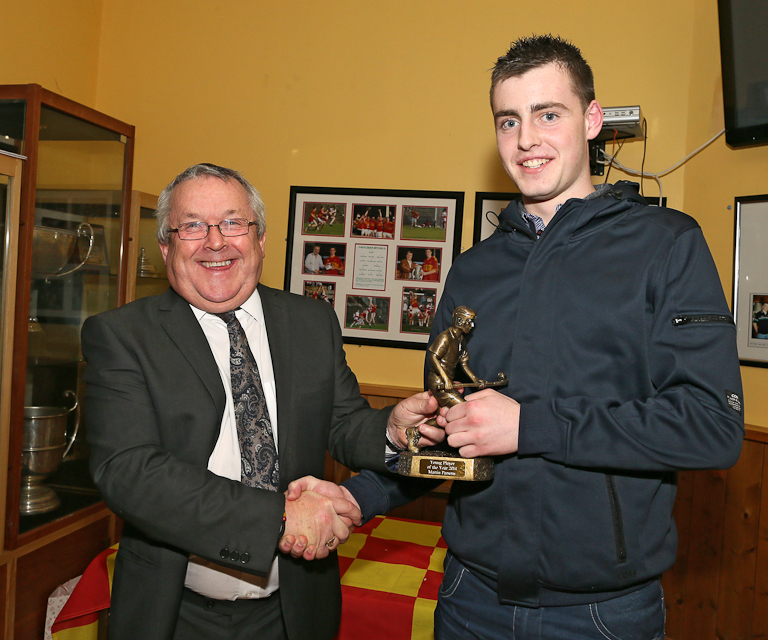 Joe Kennedy been presented with Player of the Year by team manager Pat Ryan. Photo: Michael Donnelly. The chairman congratulated the team on this fine achievement and also congratulated their coaches John Murray, Michael Howley and Conall O Donmhaill on a job well done. He went also to congratulate those among the team who also won all Ireland minor hurling medals with Mayo a truly magnificent achievements for all those players. The awards kept coming, with Joe Kennedy receiving Player of the Year award from his fellow players. Joe lead by example all year and also was also a major player with Mayo this year. Martin Parsons been presented with Young Player of the Year by club secretary john Waldron. Photo: Michael Donnelly. Martin Parsons was awarded Young Player of the Year by his fellow players also for his efforts during the year which included club minor captain, full back on club and county minor team and making his debut as senior team goalkeeper a truly well deserved award. Tony Stakelum Chairman and John Waldron secretary. Photo: Michael Donnelly. 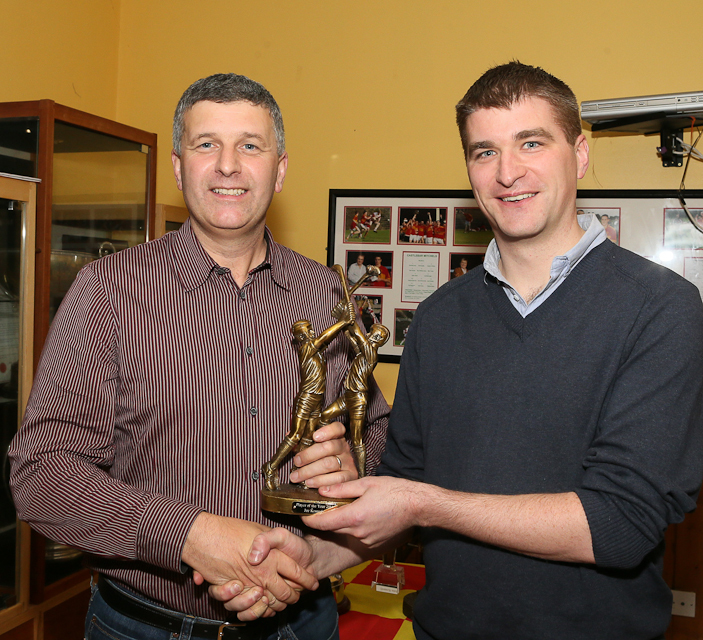 John Kennedy was the worthy recipient of the Club Man of the Year award for his continuing work in all areas of the club both at committee level and at coaching level. The final award of the night was our first Hall of Fame award which was presented to Eugene Connolly for his work and commitment to the Castlebar Mitchels Hurling club as club secretary over the past decade: a truly deserving reward for a man who went about his work in a quiet and diligent way. 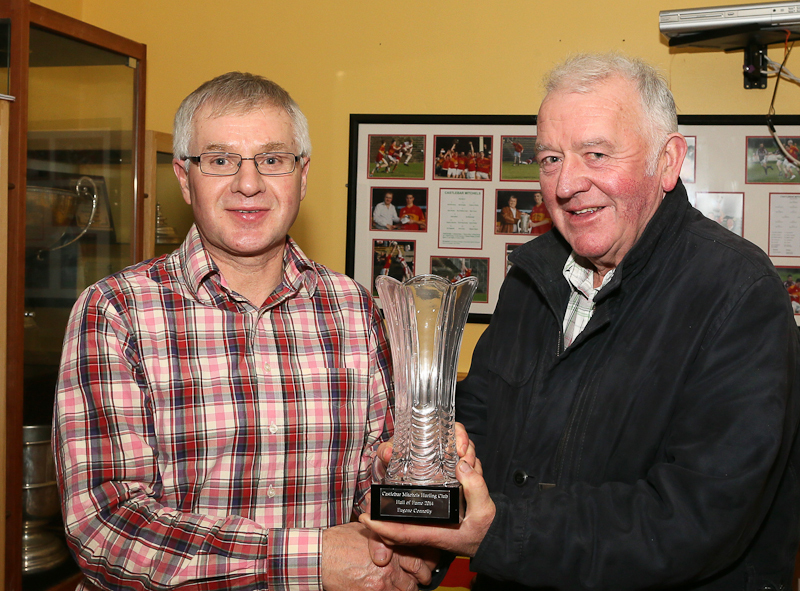 Eugene Connolly been presented with Hall of Fame award by vice president Mick Duane. Photo: Michael Donnelly. The chairman thanked the huge crowd for coming and went on to thank all our sponsors, the Castlebar Mitchels football club for the facilities and everybody who had any hand act or part in helping the club during the year. Finally he thanked Tony Reilly and Peter murphy of the Sportlann for all their help on the night and during the year and finally to Mary for the beautiful spread of food on the night. 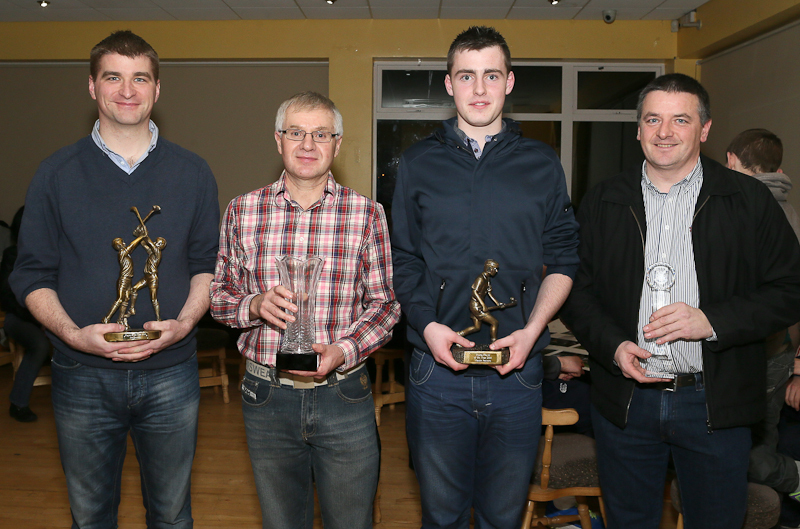 Award winners Joe Kennedy, Eugene Connolly, Martin Parsons and John Kennedy. Photo: Michael Donnelly. 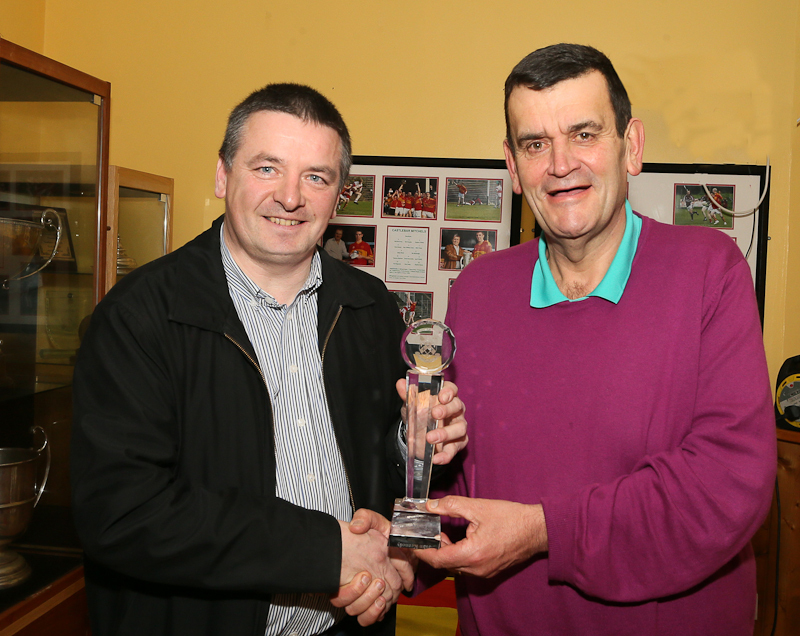 John Kennedy been presented with Club Man of the Year by vice president Mick Byrne. Photo: Michael Donnelly.